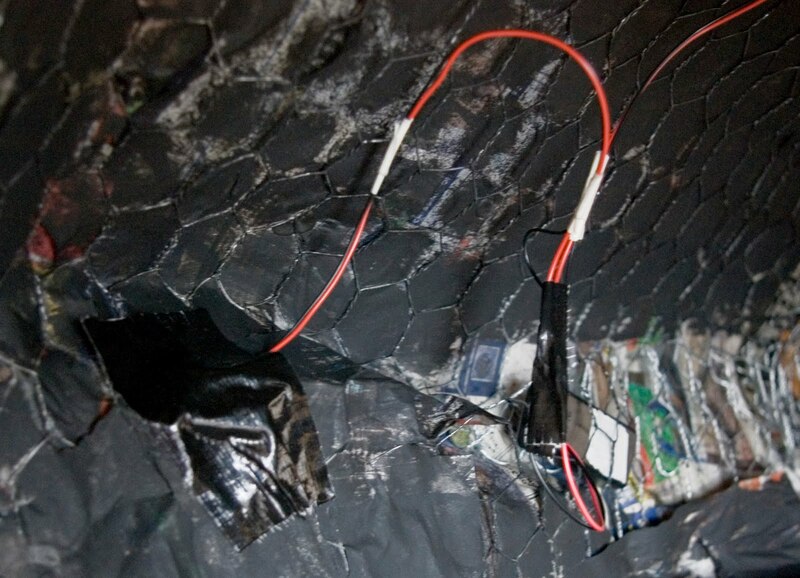 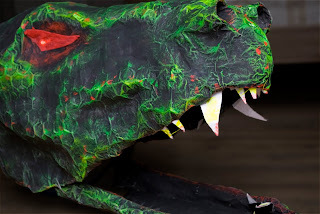 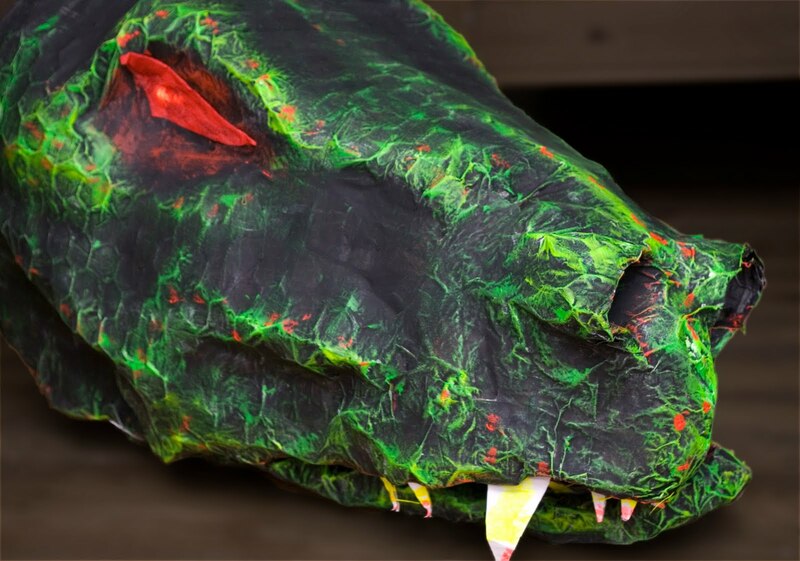 Inside the Hydra head - you can see it's constructed from newspaper Papier Mache on chicken-wire - also visible are the wires and battery pack for the LED eyes. 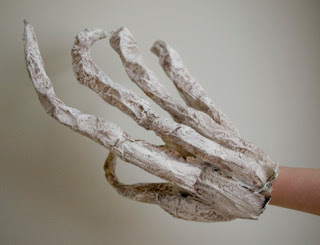 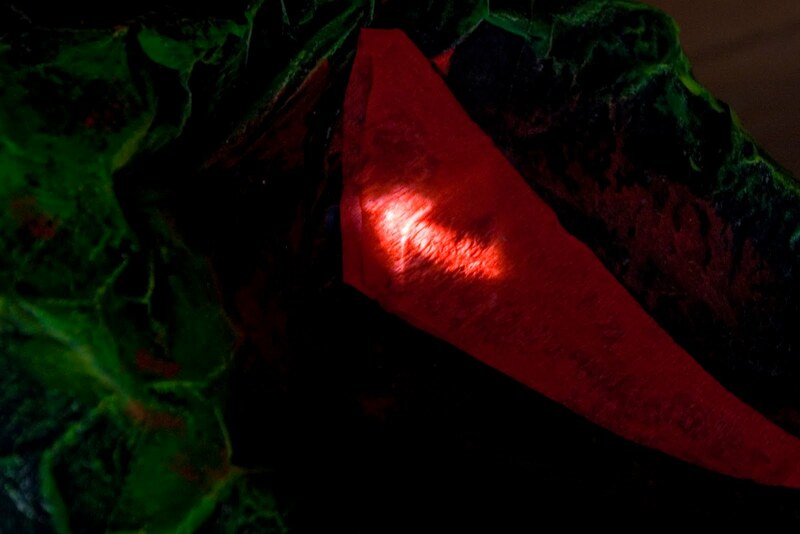 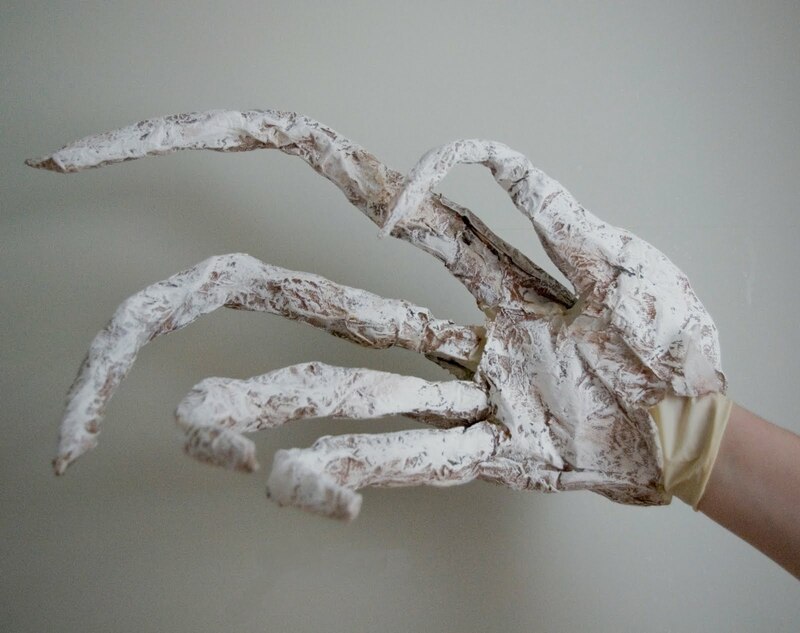 Cheron's hand - constructed on a latex glove using Halloween joke witches fingers, chicken-wire, tissue paper, glue, and painted to look like flaking skin on bone. 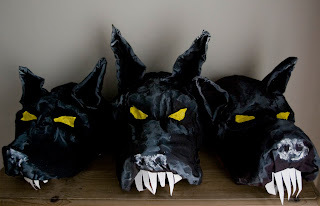 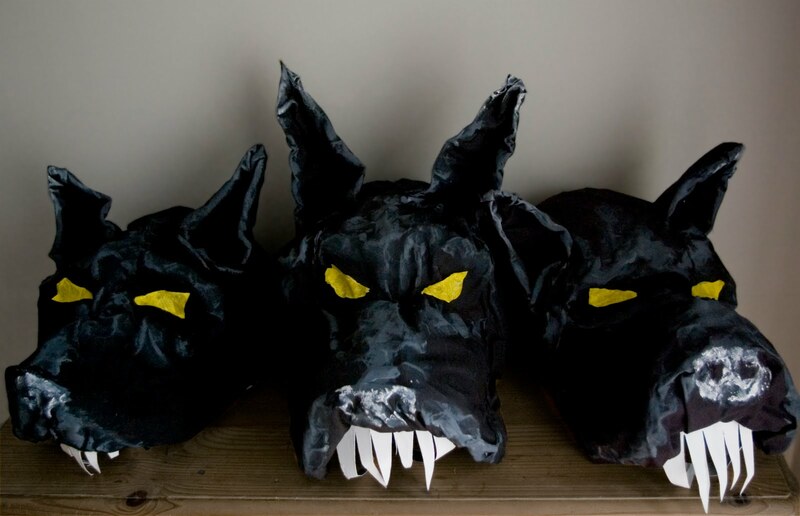 Cerberus masks/hats - constructed onto adjustable safety helmets to fit onto actors' heads using chicken-wire, black fabric, tissue paper, cardboard, gaffer tape and paint.